Private back yard complete with large deck and pool make this home great for both quiet relaxation and entertaining. 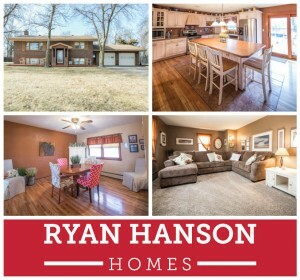 This 3 bedroom, 2 bath home on 1.25 acres close to Fergus Falls features an updated eat-in kitchen with stainless steel appliances, hardwood floors, main floor bedroom and bath, wood fireplace and double attached garage. All this for $193,900. Update: Now in the MLS! Click HERE for more information.